Happy Friday everyone! 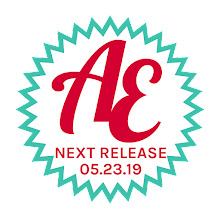 Today is an exciting day because I have the pleasure of introducing our new AEI♥U Challenge Design Team as well as announce some changes to our Avery Elle Design Team!! Before I do that, I want to send a huge thank you to all that applied to the challenge design team. We received applications from all over the world and the work and talent of everyone was just incredible! I cannot tell you how difficult it was to choose. I wish that I could have taken everyone!! I would first like to introduce an addition to our Avery Elle Design Team, Yainea. We had the pleasure of having her guest design for us last year and I was so inspired by all of her creations. We have a fabulous Design Team now and I know that she will be a terrific addition! 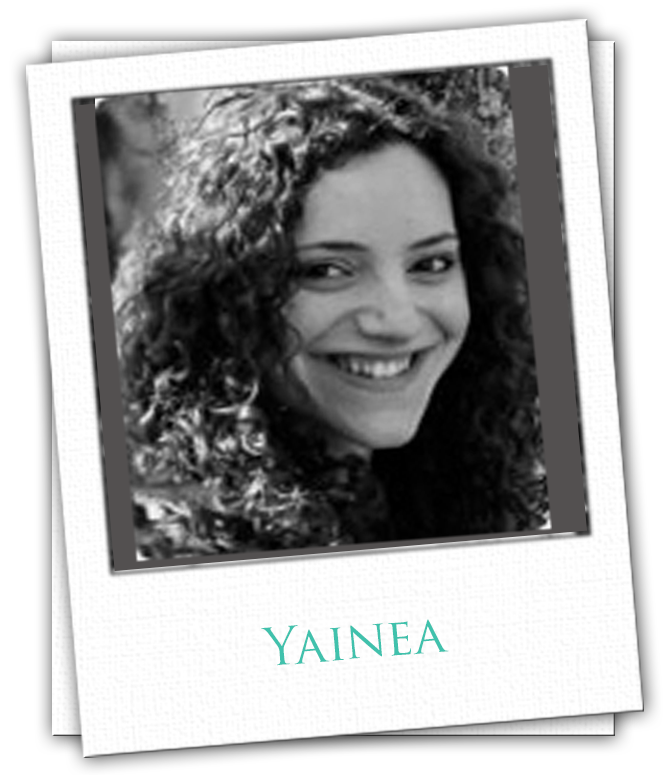 Yainea is a spanish computer engineer that loves creating all kind of things. Her blog, http://mypaperjourney.blogspot.com/, is a journey through the paper crafts world. I adore her clean and simple style and I know that you will too! 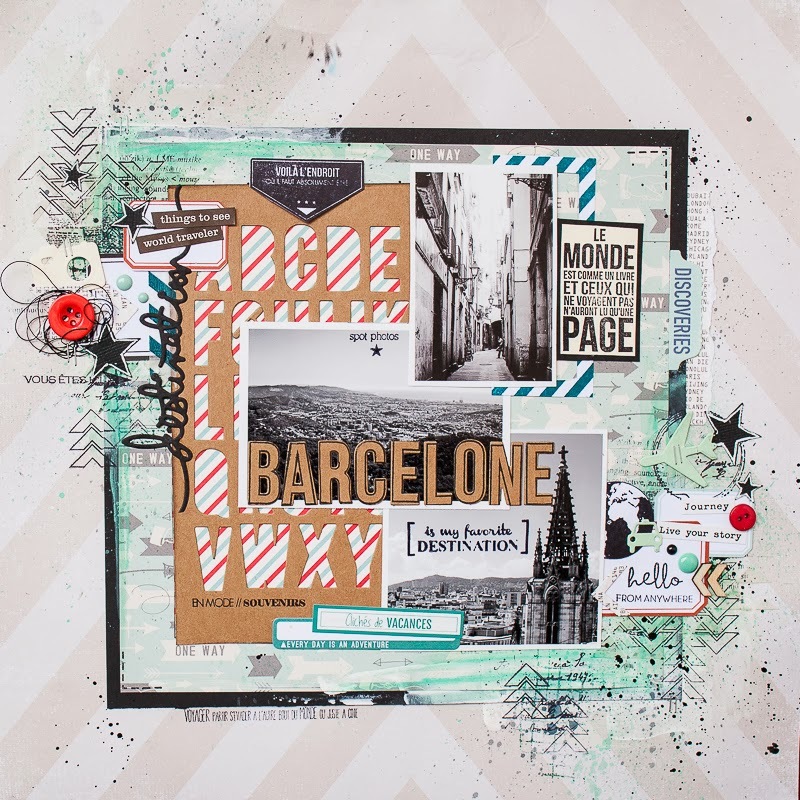 Karoyln is a wife, mother, grandma, stamper, card maker, stamp designer, traveler and shopper. Her creations are a mix of clean and simple, graphic, and a bit of fun and cute thrown in for good measure. Karolyn's work is just terrific and I am looking forward to see more! Donna has decided to move from our Avery Elle Design Team to our AEI♥U Challenge Team and I know that we will be in for a treat. Her work is clean and simple and just plain gorgeous! Katie has a cute and graphic card making style. We had the pleasure of having her as a guest designer for us last year and I can't wait to see what she has in store for us this year! Yana is 26 years old and is from Ukraine. She loves to travel across the world and meet new people, discover new cultures and just explore. She enjoy's trying new products and techniques, experimenting and creating in different styles. This definitely shows in her modern and fresh creations! Diana is an Ohio girl that ended up in Upstate NY nearly 14 years ago. She creates beautiful paper creations and browsing through her blog is so inspiring. She does it all - layouts, paper crafts, cards, etc! Our first AEI♥U Challenge will take place on Friday, February 21st and I will be posting more information about these fabulous ladies then! Aren't we lucky to have this incredible team?!? 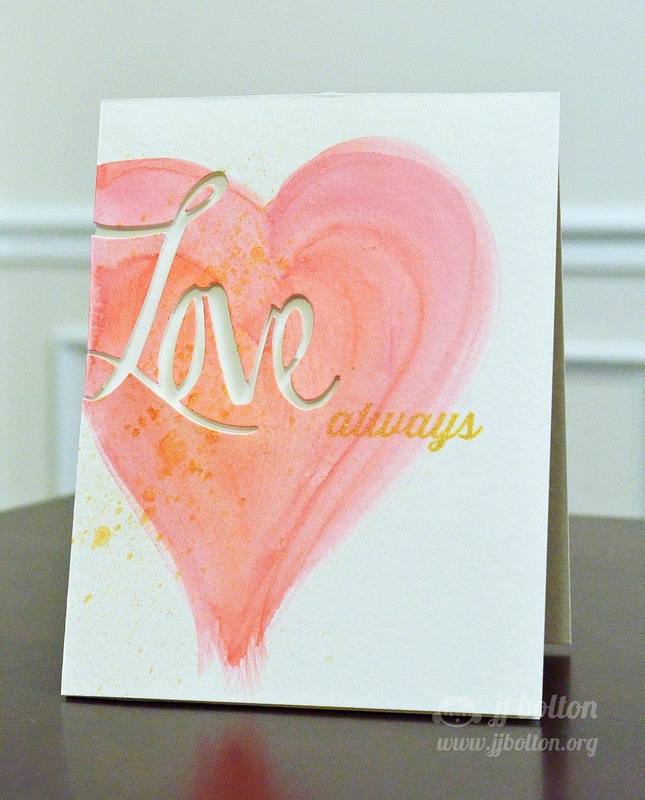 Today we have JJ with this artsy card she created using our Simply Said Love die and Fill In The Blank stamp set. I love the way the watercolor heart grounds the pretty sentiment. 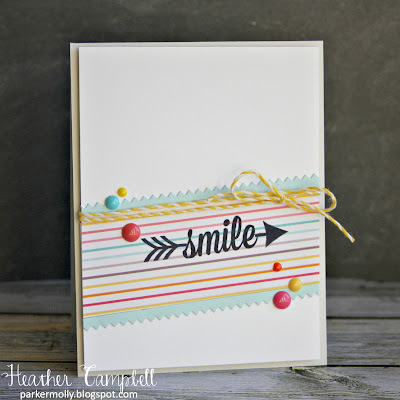 Heather used our Pinked dies to create the border beneath the striped patterned paper. I love seeing creative uses of dies. The sentiment from our Oh Yeah stamp set is the perfect compliment! Sarah and Maska Wow Us Again! Today is our last day with our guest designer Sarah Gough. It has been such a pleasure working with her this month and we are so lucky to have had her. Thanks Sarah! 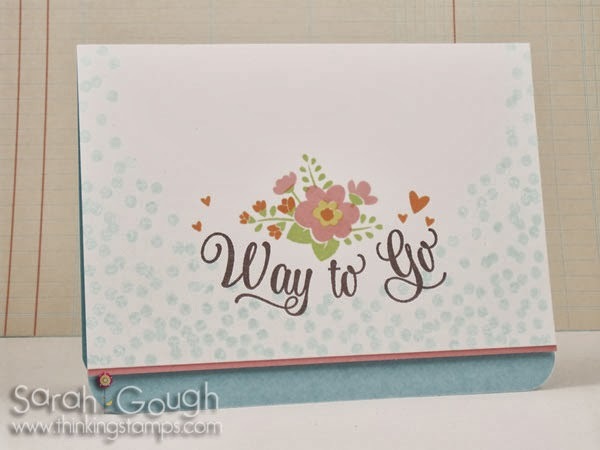 She created this terrific card using a sentiment from our Circle It stamp set and a flower she created using our Embellish It Flowers Elle-ments die. I love the mix of patterns! 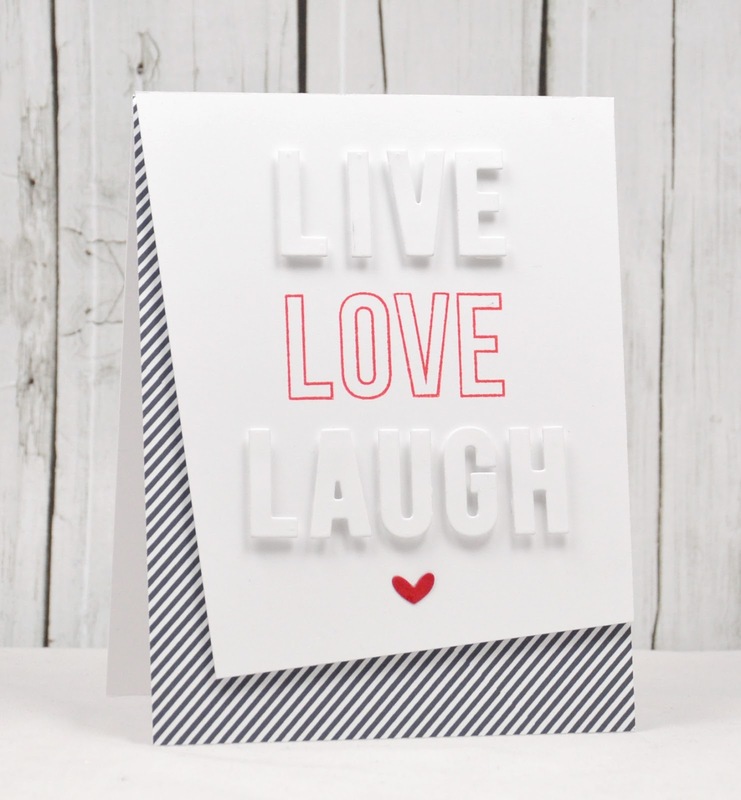 Maska created this fun and modern layout using our Avery's Alphas Dies (I love that she used the positive and negative of the die cut letters) , Texture Tiles Be Cool and Love Notes stamp sets. Who knew that all of these sets could mix together so well! 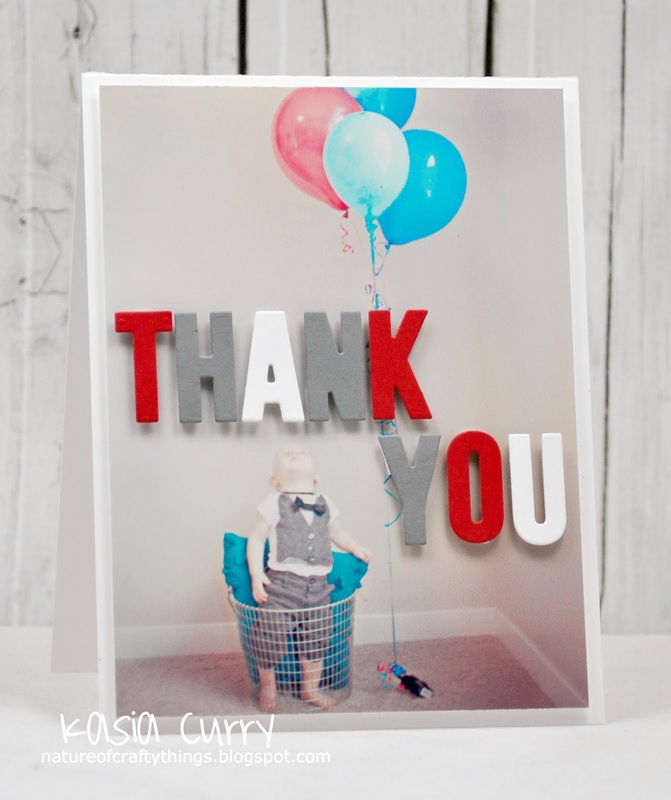 Today we have Kasia with this fun thank you card that she created using our Avery's Alphas Dies. I love her idea of adding a custom message on top of a photograph to create a modern greeting card. Brilliant! Chunyuan wrapped twine around our Pinked Elle-ments circle die cuts along with a sentiment from Circle It to create this next card. It is so graphic and fun! 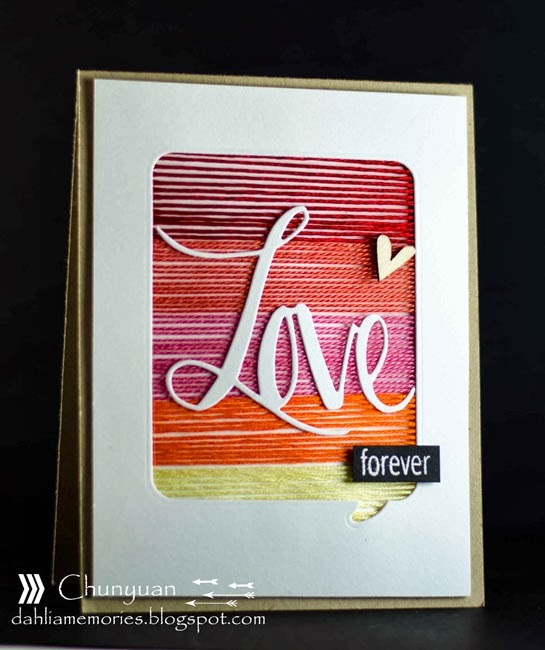 Chunyuan used more twine and our Oh Yeah and Simply Said Love stamp and die set to create this next card. It is so creative. I love it. Happy Monday! I hope that everyone had a wonderful weekend. Today we have Donna with this cute treat set that she created using our Words Fill In The Blank and Simply Tags: Love Notes Pocket Die. These two sets play so well off of each other. So cute! 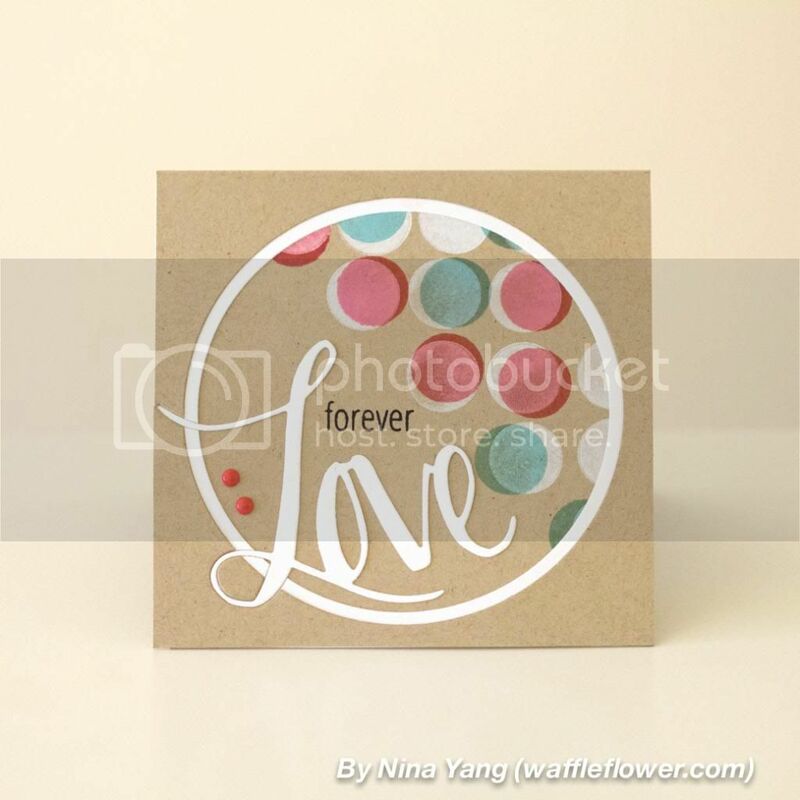 Nina created this card using our Love Notes stamp set. The cluster of flowers on the right are gorgeous and compliment the kraft card beautifully. I love that Nina added the white stitched details. 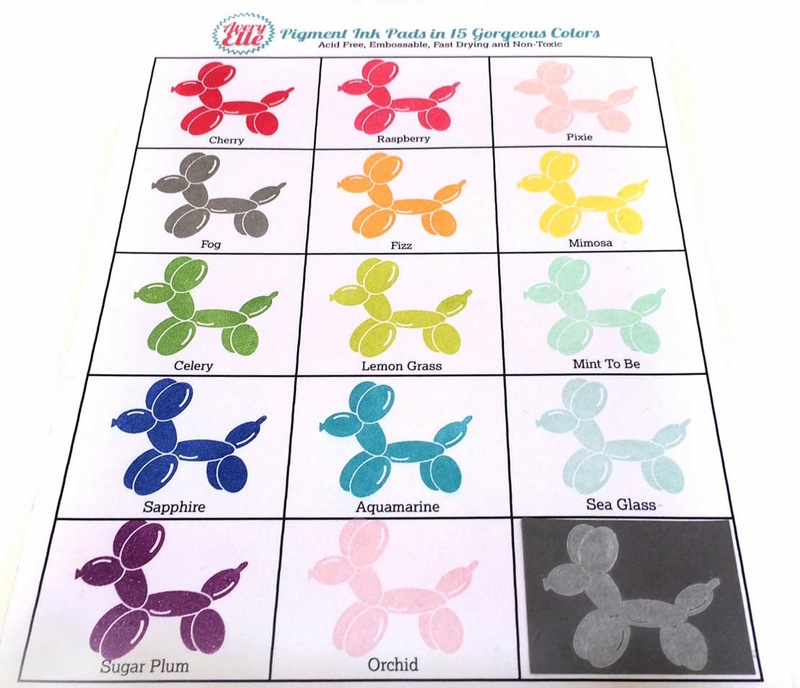 Our Pigment Ink Pads Are Now Available!! Happy Friday! I hope that you had a great week. We have been busy this week getting new product in the store. Hooray! 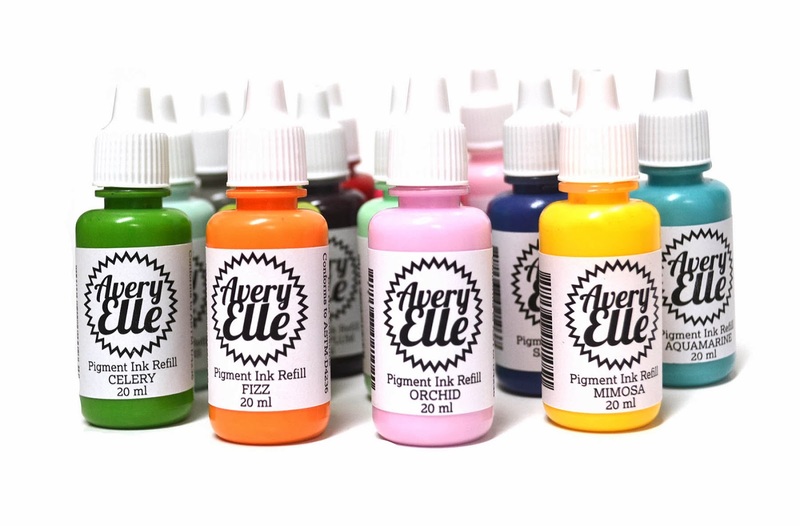 All 15 of our new pigment ink pads and coordinating 20ml Ink Refill Bottles are now available for purchase. Shipments of our ink pads and refills are being sent to many of our retailers this week so be on the look out for them there as well! 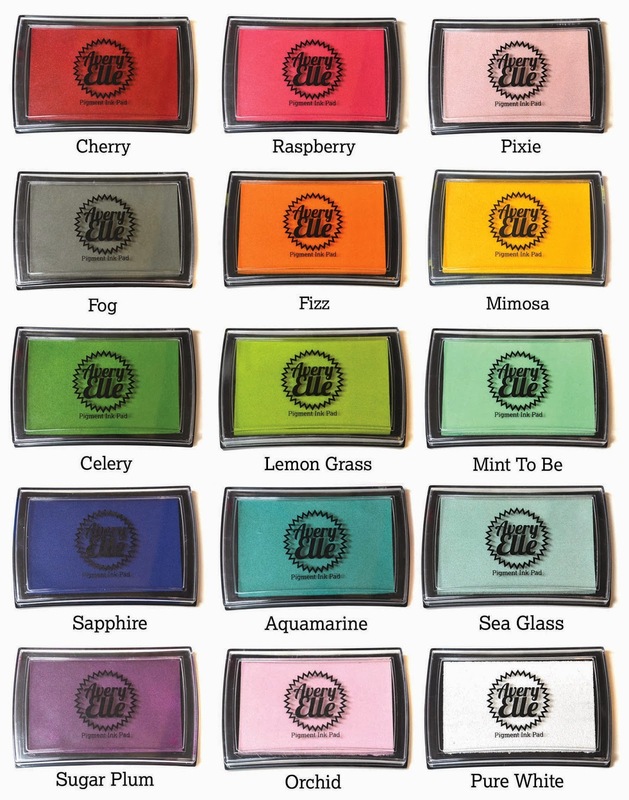 Our Pigment Ink Pads and Ink Refills come in 15 gorgeous colors, hand selected by us, to match our premium card stock. Our water-based premium pigment inks offer fantastic coverage with our clear stamps and are fast drying, embossable, acid free and non-toxic. 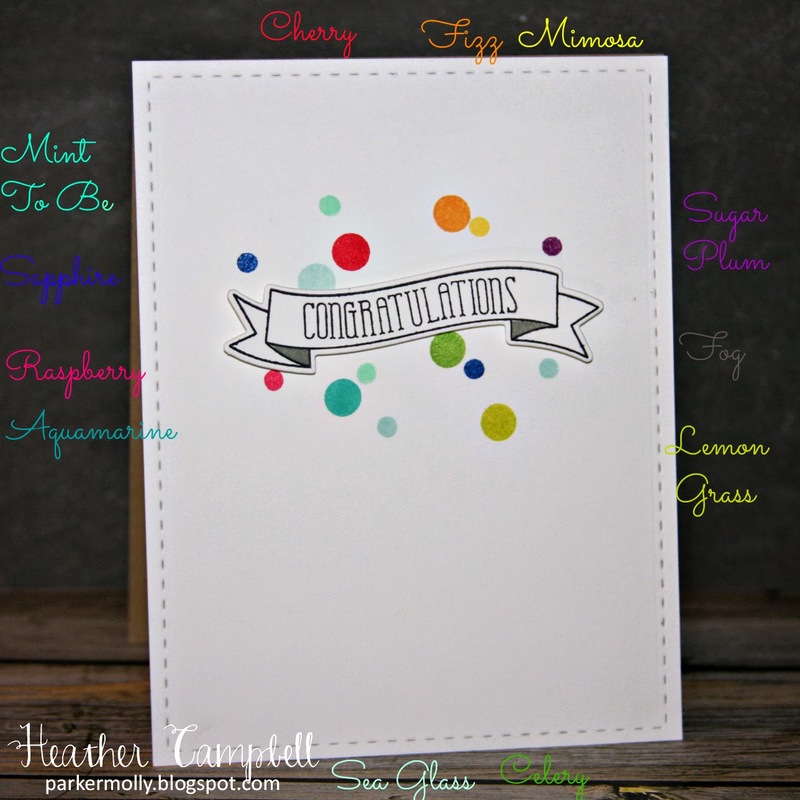 I was able to give Heather Campbell a set of our ink pads at CHA and she has made a few cards with the inks to show you how they look in use. Thanks Heather!!! I created this next card using our new Cake & Candles stamp set (will be released in a few weeks) and our Pure White ink on our New Moon Card Stock. It dries a bit slower than the rest of our inks and gets whiter as it dries!! I LOVE it! 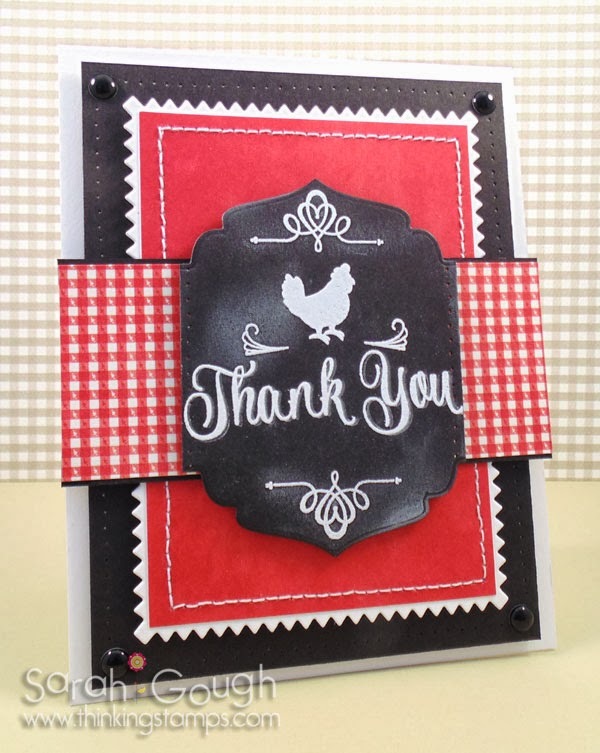 Today we have JJ with this card she created using our Thanks A Bunch and Oh Happy Day stamp sets. I just love that she stamped the clusters of flowers repeatedly on the left. They are so pretty! 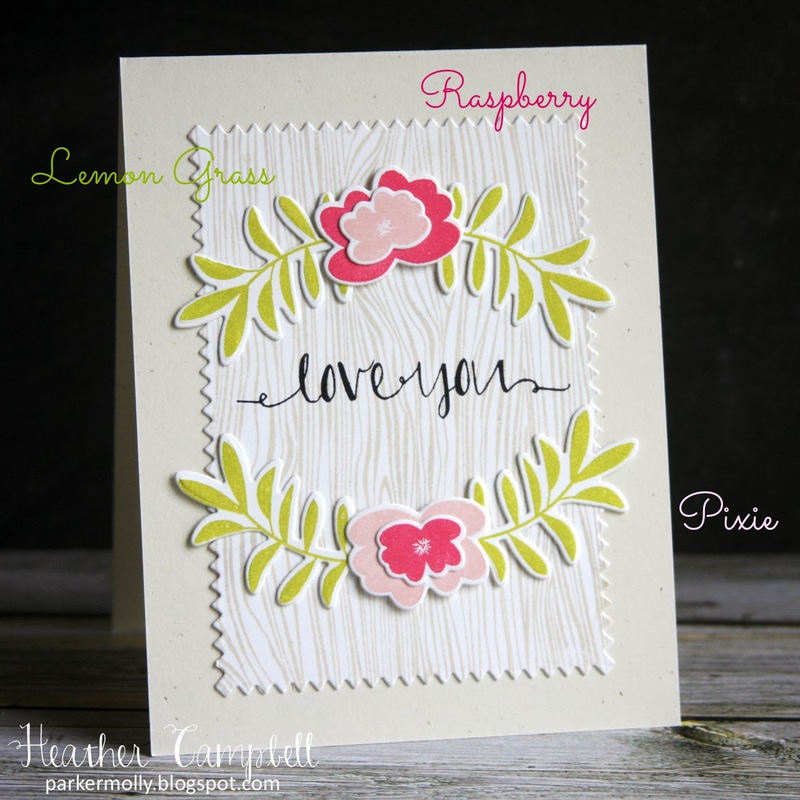 Heather used our Love Notes stamp set to create this next card. I adore the little bouquets of flowers and the touches of glitter. Celebrate and Way To Go! Today we have Maska with this incredible layout she created using our Circle it, Aim High, Papel Picado Banners and Save The Date stamp sets. I love how she created the clusters of dots in different colors. Brilliant! Sarah Gough is with us today with this beautiful card she created using our Love Notes and Circle It stamp sets. She shows how well these two sets work together. What a great idea! 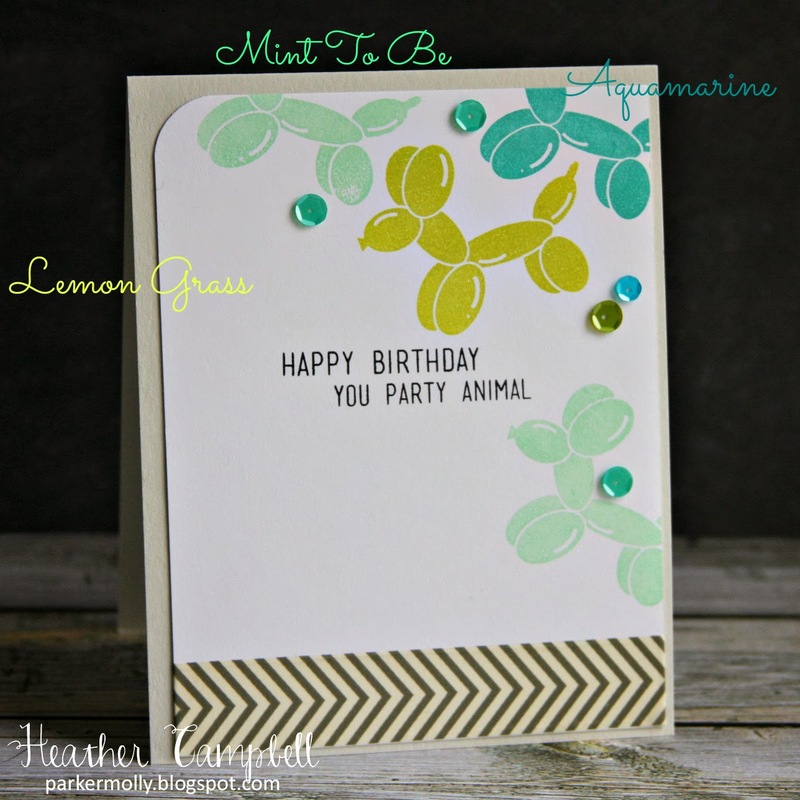 Today we have Kasia with this gorgeous card that she created using our Avery's Alphas stamp and coordinating die. I love the way she offset the card and used the outline of the letters and die cuts to play off one another. It doesn't get much better than this! 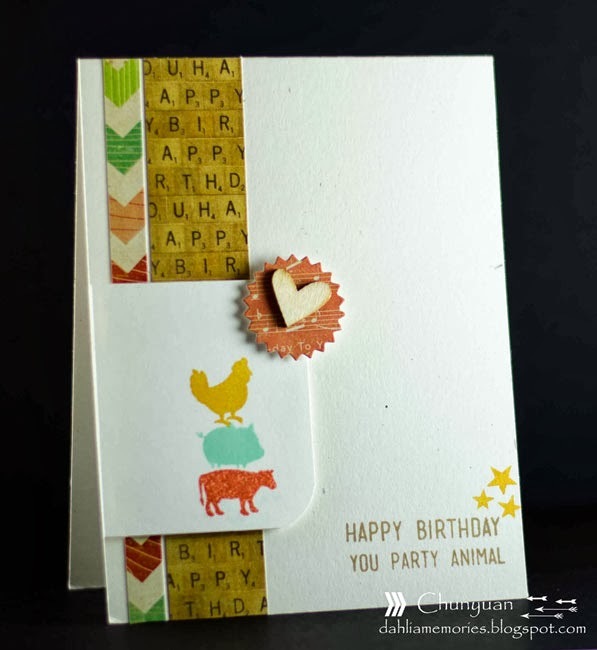 Chunyuan created this creative and cute card using the animals from our Save The Date stamp set and sentiment from our Party Animal set. What a great idea! 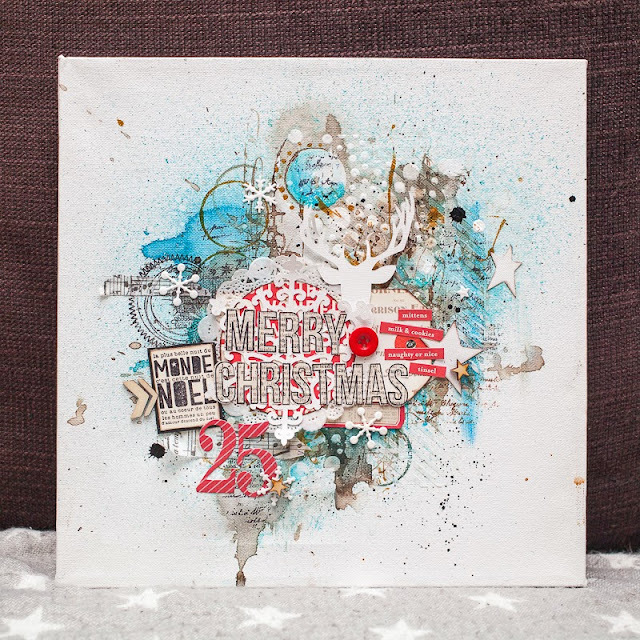 Today we have Donna with this pretty card she created using our Circle It clear stamp set. I love the cascading two toned dots and sentiment. 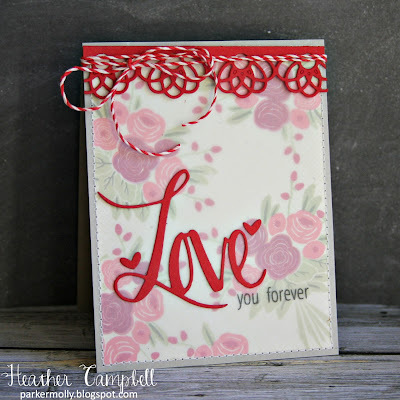 Nina created this amazing card using our Simply Said Love stamp and coordinating die. 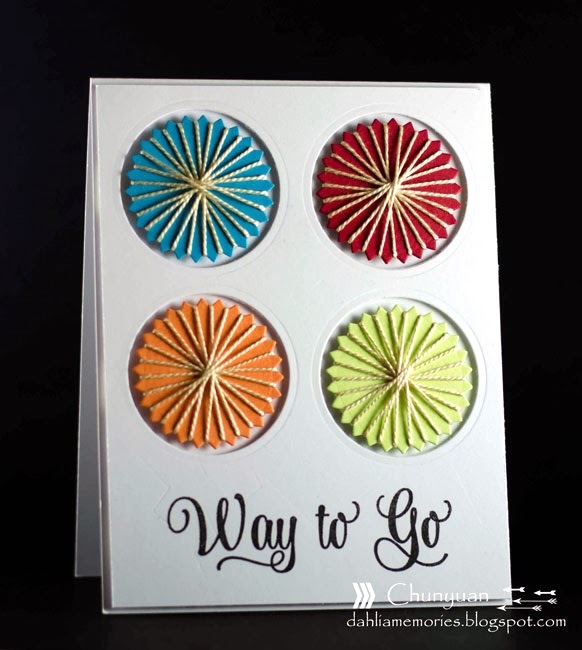 I love the way she used the solid circle image from our Bright Days stamp set to accent the sentiment. It is so modern and fun! Instead of our usual Guest Designer Challenge this month we are excited to announce our very first design team call for our AEI♥U Challenge Design Team! Don't worry, we will still have our Guest Designer challenges on the blog once a month starting next month, but this is something in addition to that! 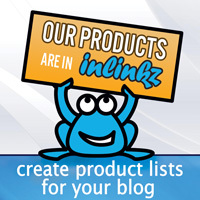 • Send your projects back to us once a month (we will provide a postage paid envelope). These will be sent along to our retailers to display in their stores. If you're interested in applying to be a part of the AEI♥U Challenge Design Team please send the following to aeiouchallenge@gmail.com with subject line Design Team Call by January 29th midnight, PST. • Tell us a little about yourself! Be sure to include additional interests and talents that could be beneficial to our company and what we do and anything else that you think is pertinent to your application. Toot your horn! This is your opportunity to shine and stand out from the crowd!! If you have any questions, send them to aeiouchallenge@gmail.com. We look forward to seeing your talent! The AEI♥U Challenge Design Team will be announced on the Avery Elle blog on January 31st 9:00 AM PST. Happy Friday! 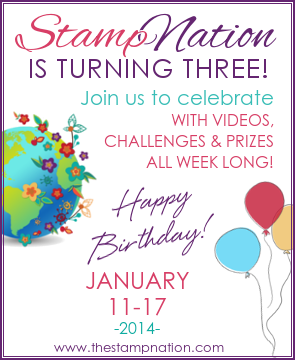 Our friends over at StampNation are turning three and to celebrate they are giving away our Cupcakes stamp set and coordinating dies!! 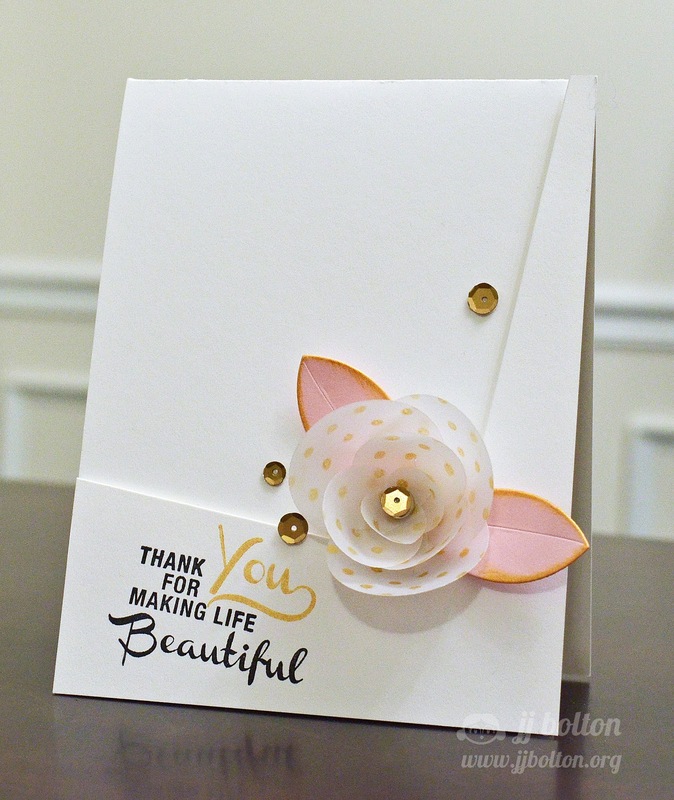 Catherine created the most adorable card using this set and a video that you won't want to miss. You can find all of the details here. Today we have three winners from our Online Card Class Giveaway as well as some gorgeous cards by JJ and Heather. It's nice to find something new that is inexpensive - I would love to learn new ways to use my stencils - thanks! LOVE your stamps and dies! Thanks for the chance to win this class! Very excited about this class. I would love to win a spot. Have fun at CHA - loving the new release. Please contact us at customerservice@averyelle.com so that we can get you your prize. 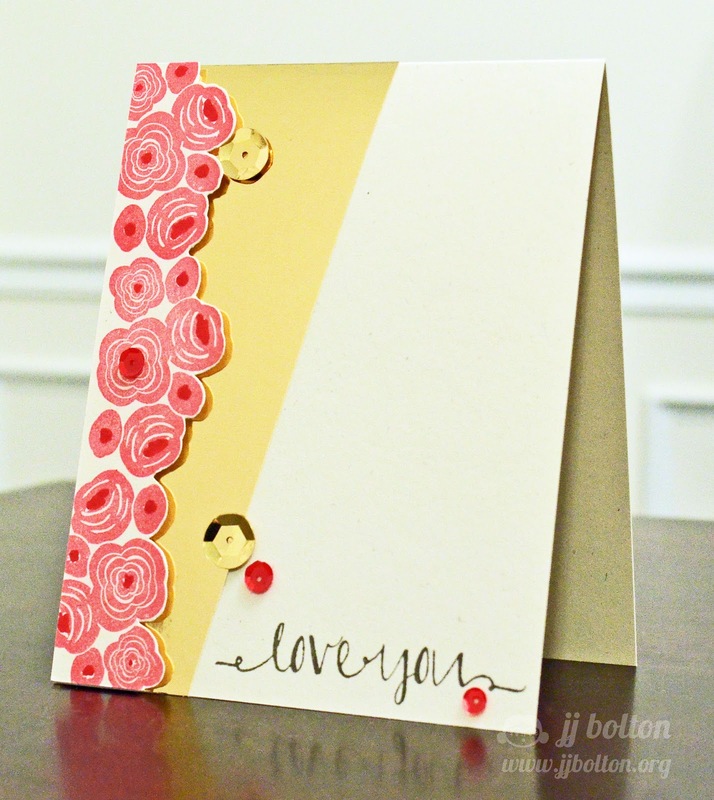 JJ created this beautiful card using our Love Notes stamp set and Embellish It Flower die. The flower is made from vellum and is stamped with gold ink using our Texture Tiles Be Cute stamp set. I just love the soft layers and patterns here. Heather created this card using our Simply Said Love stamp set and coordinating die. 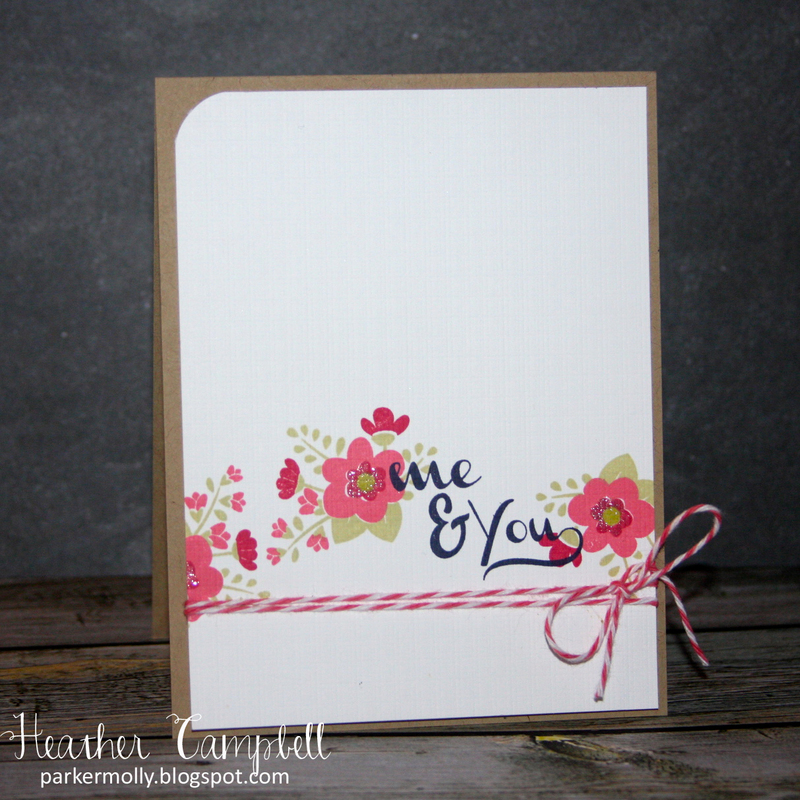 She stamped her background using our Thanks A Bunch stamp set and softened it with a layer of vellum on the top. I just adore this! We are back from CHA! Thank you so much to everyone who stopped by the booth. It was so great to meet everyone. We posted some pictures of our booth on our Facebook page so if you haven't seen them, you can check them out here. Today we have this great project by Maska using our Avery's Alphas stamp and coordinating die set. She shows how great they look when used together. Our guest designer, Sarah Gough used our Save The Date stamp set and Pinked Elle-ments Dies to create a fun country themed Thank You card. So creative! 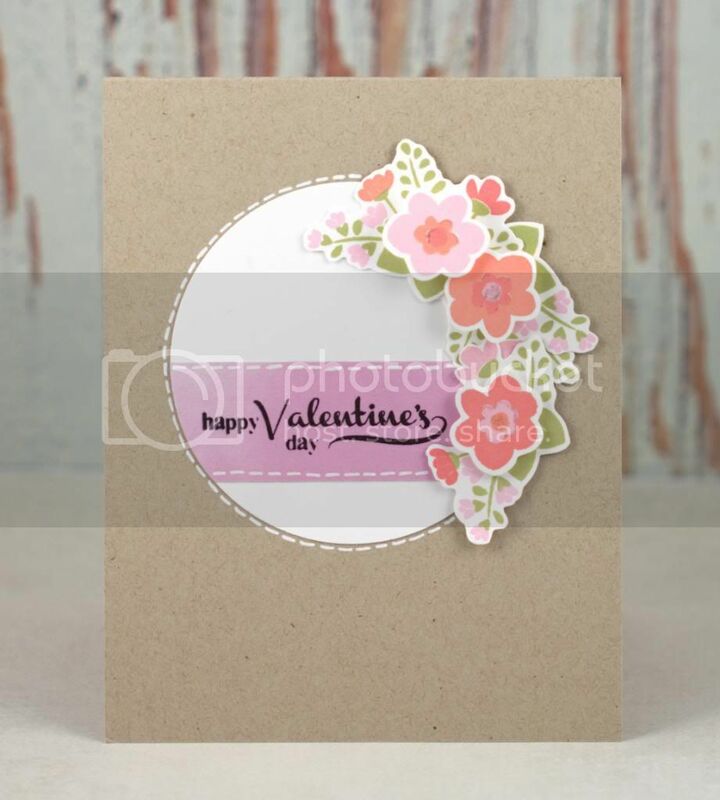 I am just popping in to quickly share this card that Chunyuan created using our new Circle It stamp set and Embellish It Flower Die. I love the fun colors! Cards from Nina & Donna! Off to CHA & Online Card Class Giveaways! !